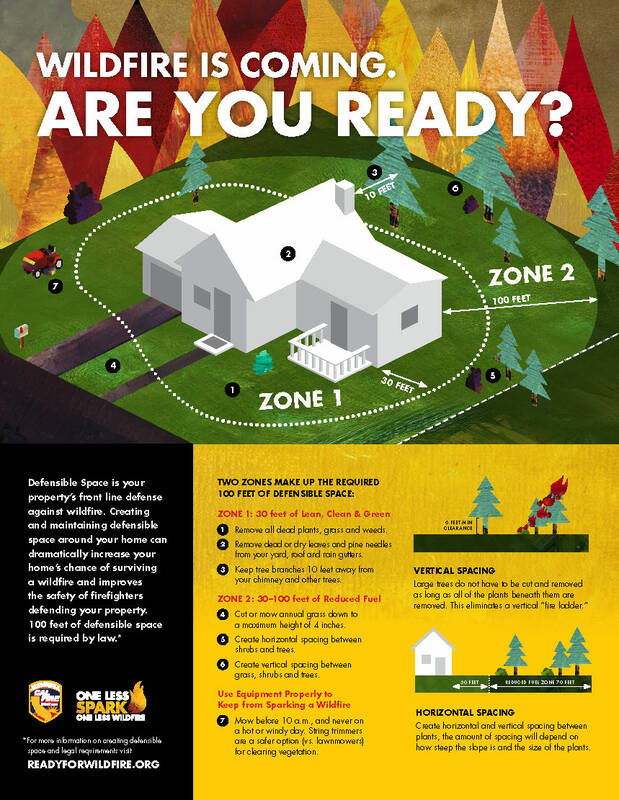 Wildfire season is just around the corner – make sure you’re prepared! Your home. It's probably your most valuable investment. On top of that, it keeps the people and things you love safe. With all the rain we've had this year, CAL FIRE is warning people about the abundance of natural grasses. Once these grasses dry out, they become a serious threat when it comes to wildfires. So what can you do? Create defensible space to protect your home. CAL FIRE has a number of resources to help you get prepared. Here's what 100 feet of defensible space looks like. Be sure to take a look around your yard and make any necessary changes while the grass is still green!